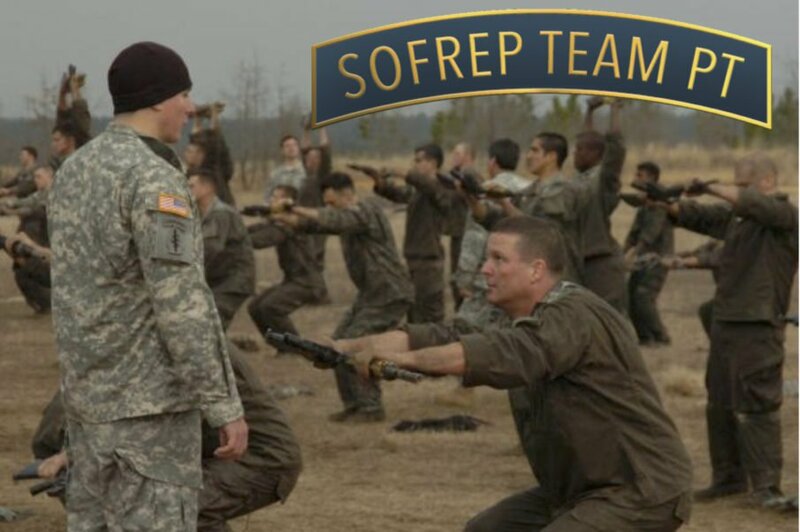 Welcome to SpecialOperations.com (“the Website”), operated by SOFREP, Inc., a Nevada S Corporation. The Website enables visitors (“you” or “your”) to keep up to date with the latest special operations forces news and information, as well as to participate in our commenting feature and our membership features. 2. INTELLECTUAL PROPERTY Unless otherwise indicated, all content displayed on the Website, including without limitation any pictures, logos, images, and text is the property of the Website or its licensors, and is protected by copyright, trademark, and the intellectual property laws. Such content may be used only for your personal and non-commercial use and may not be edited or modified for any purpose. By accessing the Website, you agree not to reproduce, retransmit, distribute, disseminate, display, sell, publish, broadcast or circulate the Website’s content to anyone, except that you may occasionally reproduce, distribute, display or transmit an insubstantial portion of the Website’s content, for a noncommercial purpose, to a limited number of individuals, provided you use the phrase “Used with permission from the SpecialOperations.com website, a service of SOFREP, Inc.” All rights not expressly granted herein are hereby reserved. The Website does not claim ownership of the content you submit or make available for inclusion on the Website. The Content is the property of the author of such content. You agree to grant the Website a perpetual, royalty-free and irrevocable right and license to use, reproduce, modify, adapt, publish, translate, distribute, transmit, publicly display, publicly perform, sublicense, create derivative works from, transfer, and sell such content in any format now know or hereafter created, and to use your name and other identifying information you provide in connection with that content. You also permit any visitor or member of the Website to use such Content for personal use as described above. If you believe in good faith that any content infringes your copyright, you may send us a notice requesting that the material be removed though we cannot guarantee that any action will be taken as a result of your correspondence. Notices should be sent to SOFREP, Inc., 930 Tahoe Blvd. ste 802-543 Incline Village NV 89451. 3. DISCLAIMER OF WARRANTIES AND LIABILITY You agree that your access to, and use of, the Service and the content available on the Website is on an “as-is”, “as available” basis. The Website includes facts, views, opinions and recommendations, and the Website does not necessarily endorse these views, opinions and recommendations. The Website specifically disclaims any representations or warranties, express or implied, as to the Website and the content contained therein, including, without limitation, any representations or warranties of accuracy, completeness, timeliness, noninfringement, merchantability or fitness for a particular purpose. The Website will not be liable to you or anyone else for any loss or injury caused in whole or part by its negligence or contingencies beyond its control in procuring, compiling, interpreting, reporting or delivering the Website and its content. In no event will the Website be liable to you or anyone else for any decision made or action taken by you in reliance on any content appearing on the Website. The Website shall not be liable to you or anyone else for any damages (including, without limitation, consequential, special, incidental, indirect, or similar damages), other than direct damages, even if advised of the possibility of such damages. Because some states or jurisdictions do not allow the exclusion or limitation of liability for damages or the exclusion of certain types of warranties, parts or all of the above limitation may not apply to you. 4. LINKS TO THIRD PARTY SITES The Website may contain hyperlinks to web sites operated by persons other than the Website. You agree not to hold the Website responsible for the content or operation of such web sites. A hyperlink from the Website to another web site does not imply or mean that the Website endorses the content on that web site or the operator or operations of that site. You are solely responsible for determining the extent to which you may use any content at any other web sites to which you might link from the Website. 8. You must be 18 years of age or older to watch the videos that we host on SpecialOperations.com. Minors are not permitted to watch our videos unless accompanied by a parent or guardian. By watching our videos, you agree that you are 18 years of age or older, or under the guidance of a parent or guardian.